Today, the way we make and talk about electricity is vastly different. It can be produced from renewable energy sources, such as wind and solar, or non-renewable energy sources, such as coal, natural gas, oil or nuclear power. Once it’s created, it travels from a power plant through high-voltage transmission lines to lower-voltage power lines and eventually to the wires inside your home. Substations and transformers help to lower the voltage along the way to make it safe for residents to use. When we talk about electricity today, there are three main terms we use: amps, volts and watts. When it comes to radiant floor heating projects, these terms are particularly important for homeowners to understand because it will help them understand how much electricity their home can handle, what systems work with their setup, and the amount of heat being emitted from the floor-heating system. This is the measure of how much electricity is flowing through an electrical line. This term is especially important because a home’s electrical panel can only handle so many amps at a time. A typical home will have a breaker panel with a 200-amp service. Larger homes may have a 400-amp service to accommodate their extra electrical usage. On the other hand, older homes might only have a 100-amp service. Knowing the amperage of your breaker panel is vital before starting a floor-heating project to make sure you don’t overload your system. When installing a snow-melting system or floor-heating system for multiple rooms or an entire house, the systems’ amperage will probably exceed the home’s existing capacity, so the homeowner will likely have to upgrade their breaker panel. However, most small floor-heating projects can operate on a home’s existing service. To find out the amperage of your floor-heating system, simply divide the total wattage by the voltage. Then compare the result with the available capacity of your electrical panel. This is the measure of the force of electricity flowing through an electrical line. Knowing the voltage of the circuits in your home is important because you must match it up with the device you’re connecting. For example, if a circuit in your home is 120 volts, you must buy a 120-volt floor-heating system. A 240-volt system would blow the circuit because the force of electricity would be too great. This is the result of multiplying the amps and volts together, which is the working capacity of the electricity. In terms of floor heating, the higher the wattage, the higher the heat. A TempZone™ Flex Roll, for instance, offers 15 watts per square foot; an Environ™ Flex Roll offers 12 watts per square foot; and a Slab Heating mat delivers 20 watts per square foot. TempZone™ systems are radiating heat through tile or stone floors; Environ™ systems are radiating heat through carpet (in the U.S. only) or laminate floors; and Slab Heat systems are radiating heat through concrete slabs. Concrete is the toughest material to heat, which is why the power and heat of the system (aka the wattage) must be higher. In contrast, carpet and laminate both have heat limits, making them more vulnerable to melting and warping. That’s why it’s important that the power and heat of the floor-heating system be lower, so as not to damage the flooring. A TempZone Flex Roll delivers 15 watts per square foot. Wattage is also used for expensing electricity. Electricity bills are determined by the number of kilowatts a home uses. Therefore, the more amps and volts that your electrical appliances use, the higher your electricity bill will be. To calculate the operating cost of a floor-heating system, you should calculate the total wattage of the heating system and divide it by 1,000 to get the number of kilowatts per hour. Then, multiply that number by your local rate per kilowatt-hour (the national average is currently $0.12) as well as the number of hours a day you use the system. 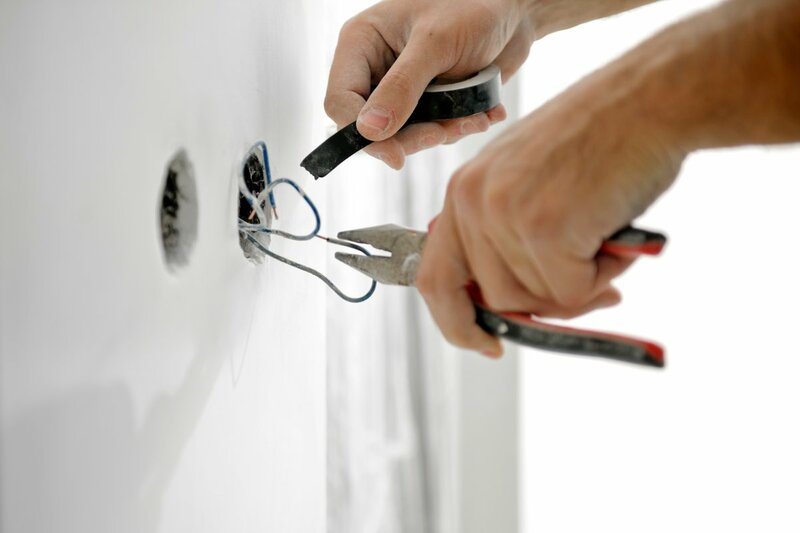 As a result, you will get the electrical operating cost per hour for your particular system. You can also use WarmlyYours’s Operating Cost Calculator to determine your cost. Now that you’re well versed in electrical terminology, you’re prepared to get started on your floor-heating project! To get a free instant quote, visit www.warmlyyours.com/my_instant_quote/start.